Best place in downtown Placerville for a HUGE delicious salad is Bricks Eats & Drinks. 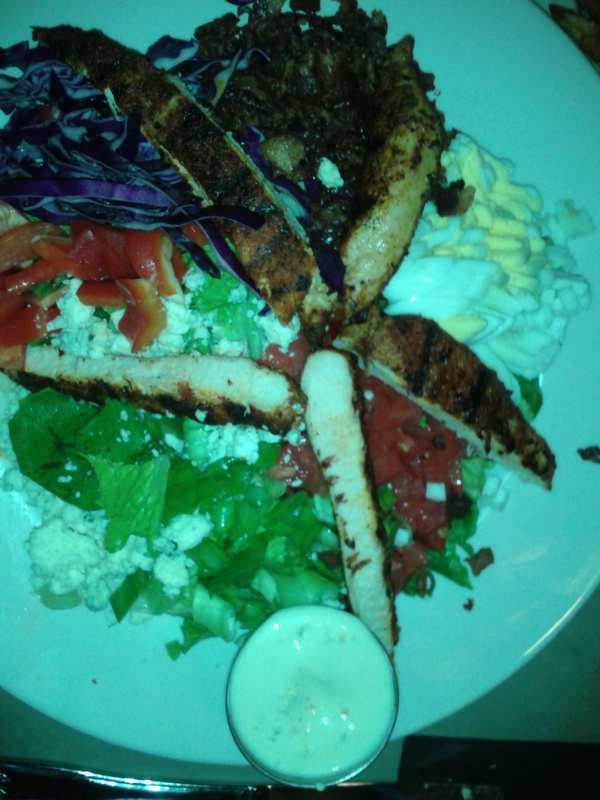 This one was a cobb salad with blackened chicken. It also has wonderful local wines, a full bar, mouthwatering hamburgers and sandwiches (that have gluten free options), and Giants games. This place is making me wish I had more time in this town. Will be back! This entry was posted on Monday, August 5th, 2013 at 8:25 PM	and posted in El Dorado, Food. You can follow any responses to this entry through the RSS 2.0 feed.